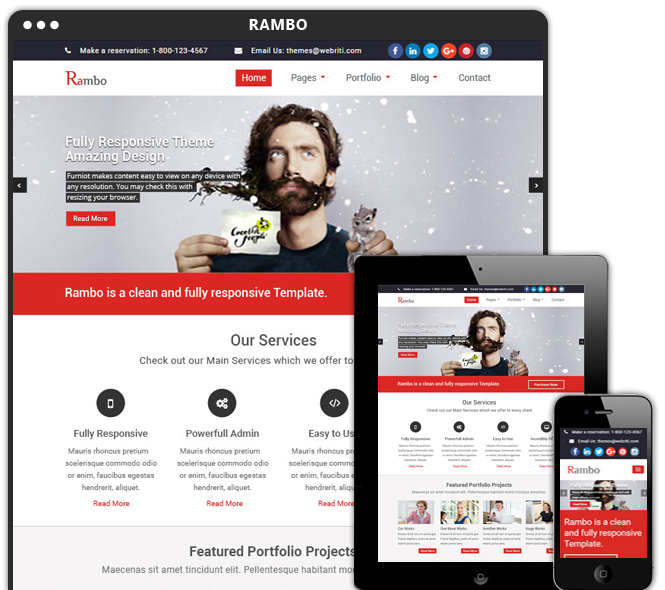 Rambo boats of Multiple Blog Layouts, Service Template, Portfolio Template and About Us template and in built Contact Form. Rambo ships with 5 color schemes. Customize your website color scheme with 1 click.